Description: Offering a refined curvaceous look that will complement the most luxurious interiors, Cilindro creates soft illumination and sophistication with its elegant neutral palette. Natural Textrene is complemented with a Statuario Idalight bottom diffuser. Handcrafted by artisan hands in our manufacturing facility, this 48-inch wide pendant is enhanced with Timeless Bronze finished hardware and accents. 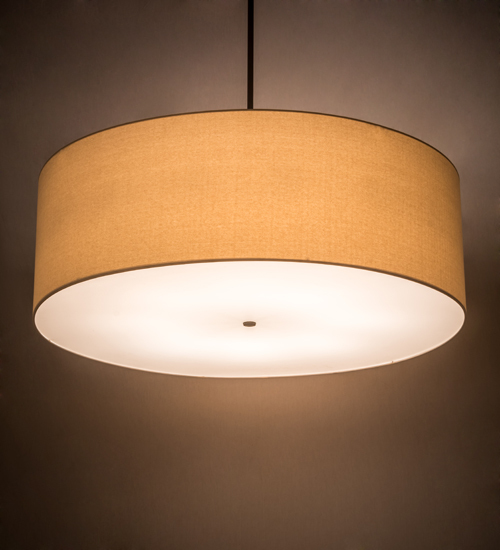 Custom sizes, styles and finishes are available, as well as dimmable energy efficient lamping options such as LED. The fixture is UL and cUL listed for dry and damp locations.